10 Steps To Buying A Home - Boston International Real Estate Make a list of the features and benefits you want in a home. Consider such things as pricing,location, size, schools, amenities anddesign. Consider your priorities. If you can't geta home at your price with all the features youwant, then what features are most important?For instance, would you trade fewer bedroomsfor a larger kitchen or a longer commute for abigger lot and lower cost? Finally, consider yourneeds in several years. Step 6: Get help from a local realtor A local realtor truly knows the local market.They have been in many of the houses that arefor sale in the market that you have seen online.They understand why certain homes in certain neighborhoods are priced the way they are. They are also in the best position to help you find thehouse that most closely matches what you wantin a home. Most importantly, a realtor will be looking out for your interests. 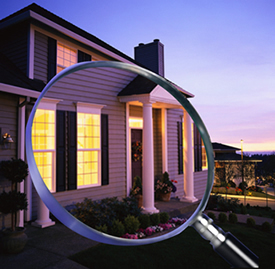 Step 8: Inspecting the goods After your offer is accepted, it is routine to have a home inspection. During these examinations, a licensed inspector determines if there are material physical defects and whether expensive repairsand replacements are likely to be required in thenext few years. Such inspections for a single-familyhome often require two or three hours, and youshould attend. This is an opportunity to examinethe property's mechanics and structure, ask questions and learn far more about the property thanis possible with an informal walk-through. Step 9: Sign and seal it Provided you are satisfied with the home inspection, the next step is to sign a purchase & sale agreement. This document details thespecifics of the transaction, such as: repairs to becompleted; fixtures to remain with the property theproperty's status regarding lead paint; and, if aseptic system exists, the confirmation of a Title 5 certificate (in Massachusetts). The closing date isfinalized and a five percent deposit is made (which is held in escrow until the closing). If you have anyquestions about your legal rights or responsibilities,you should consider consulting an attorney. This is the day when you will become a homeowner, but there are several steps that are necessary. Prior to closing you will have a walkthrough of the home you are buying. This is tomake sure repairs (if any) were made and thatthe house is in the same or better conditionthan when you made the offer. Most lenders willrequire that you have a home owner's insurance binder (proof of insurance) before they will close the loan. Many buyers also purchase title insurance that is bought with a one-time fee atclosing. Title insurance protects owners in theevent that title to the property is found to beinvalid. After signing the loan documents (andthere are many), the sellers will receive the remainder of the payment from the closing attorney and you'll be handed the keys. This guide was prepared with the help of our friends over at the Massachusetts Association of Realtors (MARS). You are required to have a homeowners insurance policy (or a paid receipt of a policy) with you at signing. Don't wait until it is time to close to start weighing your options. Consult an insurance agent early in your home buying process so he or she can work to find the policy that suits your needs and fits well into your budget.